Rummy is a popular game enjoyed by people of all ages. The introduction of online rummy has given people the opportunity to enjoy their favorite game anytime, anywhere.Online rummy games have become the best ever stress buster for fans. Whether you are traveling or just chilling at home, you can log on to your favorite website and start playing the game immediately. A common question that comes to the mind of many players is which variant of rummy to play. In order to get an answer to this you need to ask yourself 3 simple questions. Over the past years, people in different countries have created many online rummy variations. Some of these are 13 card rummy, 21 card rummy, Indian rummy, Gin rummy, Kalooki rummy, Oklahoma rummy, and 500 rummy. However, the most popular variants of rummy are Points (also called Strikes Rummy), Pool (also called Syndicate), and Deal. If you are playing the game since years and know every rule of it thoroughly, you can try any variation. However, if you have recently started playing the game and are not too familiar with all its basic concepts, it is recommended to opt for practice games. Also, if you are opting for a variant that you are not too familiar with, it is best to stick to the simplest online rummy variant. Read about all the variants and choose the one you understand the best and find to be easiest. You may be good at one variant, however, with the other, you may not be so comfortable. It is best to play safe. How much time can you commit to the game? 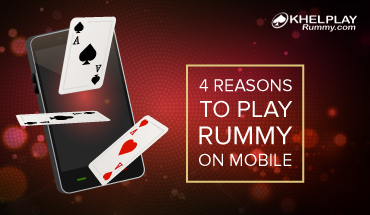 Rummy is a game that requires your complete focus and commitment when playing. Since most days of the week we are busy at work or at home, we need to analyze and calculate the total amount of hours we can put into the game. 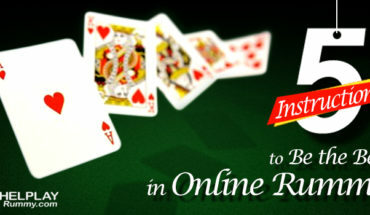 While some variants of online rummy are complex and require more time, other variants may not have the same requirements. So, we have listed below the complexity and time required for each rummy variant. Points Rummy: This is a competitive Indian rummy variant that can be played with different point values. It has a single winner who wins the game and the entire cash is given to her/him at the completion of the game. This fast paced rummy game variant is one of the most popular rummy games among players. Pool Rummy: Pool rummy is quite exhaustive as there are no fixed number of deals. Players keep getting eliminated when they cross a fixed number of points, 101 or 201. At the end, the player with the least number of points wins the cash prize and declared as a winner. Deals Rummy: Deals rummy is played for a fixed number of deals like 2, 3 and 6 deals. The one who wins each deal earns chips from the losing players. The player with maximum chips at the end of all deals is the winner. So this Indian rummy variant requires more time to complete as compared to the other variants. Exciting Facts about Rummy Game! 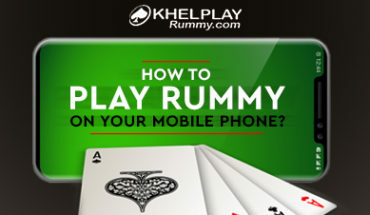 How to Play Rummy on your Mobile Phone?